Diplomat author Mercy Kuo regularly engages subject-matter experts, policy practitioners and strategic thinkers across the globe for their diverse insights into U.S. Asia policy. 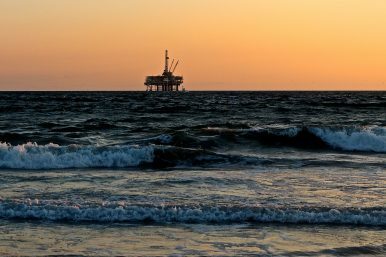 This conversation with Eufracia Taylor and Hugo Brennan – Senior Asia Analysts at risk consultancy Verisk Maplecroft – explores the motives of China’s push for joint oil and gas exploration in the South China Sea, and the broader consequences for geopolitics. Explain the agenda behind Beijing’s offer of “joint oil and gas exploration” in the South China Sea to Southeast Asian countries. The assertion of sovereignty over disputed areas is the name of the game, and Beijing considers joint oil and gas exploration as an important policy tool in pursuit of this goal. Signs of claimant states negotiating with Beijing to jointly explore for resources in their own Exclusive Economic Zones (EEZs) go a long way towards legitimizing China’s nine-dash line. China is adopting a carrot and stick approach. On the one hand, we’ve seen Vietnam rebuked over its unilateral exploration efforts in waters claimed by China – which reportedly even threatened the use of force. Conversely, offers of joint exploration, which are framed as a partnership and built around promises of technical support, capital, and wider investment, have allowed Beijing to position itself as a critical partner rather than simply an antagonizer. Why did Brunei and the Philippines sign memorandums of understanding with China on energy development? Southeast Asian states and prospective operators face considerable geopolitical risks due to China’s expansive territorial claims, but the domestic imperatives of smaller states are also important to future energy development. Both Brunei and the Philippines are opting for pragmatism and seem willing to skirt contentious sovereignty questions to meet domestic goals. The Philippines-China memorandum of understanding (which mainly reiterates previous agreements) comes against the backdrop of brewing energy security concerns, years of negligible offshore exploration, declining upstream investment, depleting resources in the Malampaya gas field, and a need to boost state revenues. The Philippines is also pursuing a $2 billion LNG import project, where China-Philippines cooperation has also become a notable feature, feeding into a broader energy partnership narrative. Brunei has traditionally been the quietest claimant state. Hopes that wider Chinese investment will support economic recovery and diversification, boosting growth and in turn the government’s political legitimacy, appear to trump South China Sea issues for the sultanate. What is the strategic context of China’s plan to development energy sources in the disputed areas of the South China Sea? The strategic context affecting upstream development in the South China Sea is a rising China that is increasingly able and willing to assertively pursue its perceived sovereign rights to oil and gas resources. Aside from being a tool to assert its territorial claims demarcated by its “nine-dash line,” Beijing’s plan to develop offshore hydrocarbons in disputed waters is also driven by energy security concerns. China is increasingly reliant on oil and gas imports that it fears could be vulnerable to disruption. Developing oil and gas resources in the South China Sea – an area close to the Chinese mainland where Beijing is capable of projecting significant military force – is therefore an attractive option strategically. Southeast Asian states seeking to unilaterally develop offshore oil and gas in disputed waters must weigh up the geopolitical risks associated with defying China, a key trade and investment partner that is willing to resort to the threat of military force to assert its claims. The United States has also shown little appetite for defending the natural resource rights that Southeast Asian claimant states derive from the UN Convention on the Law of the Sea. Explain the policy implications of China developing its own “code of conduct” in the South China Sea, which would not include the United States. China and the Association of Southeast Asian Nations (ASEAN) have been discussing the possibility of a South China Sea code of conduct (CoC) for over two decades. A CoC will not resolve the various overlapping territorial claims but instead intends to lay out some mutually agreed rules and norms that would prevent the South China Sea dispute escalating. The release of a draft negotiating text in August 2018 was an important step forward with some interesting policy implications. Most notably, Washington has expressed concern over draft provisions put forward by China that would restrict parties to the CoC from conducting joint exercises with external security partners and prevent oil and gas companies from third-party states conducting exploration in disputed waters. However, the parties seem a long way from reaching a final agreement and much could still change. How might China’s energy security in Southeast Asia impact U.S. leadership in the region? Beijing considers the South China Sea as vital to its energy security interests, both from an upstream perspective but more importantly as a transit route for oil and gas shipments from the Middle East and Africa. The strategic significance of these waters helps explain why Beijing has been militarizing disputed maritime features in the South China Sea. The success of Beijing’s “salami-slicing” approach is evident from the claim made by Admiral Philip S. Davidson – head of the U.S. Navy’s Indo-Pacific Command – that China is now capable of controlling the South China Sea in all scenarios short of war. This stark admission is a significant blow to U.S. leadership in the region and Washington has yet to articulate a coherent South China Sea strategy that suggests it can reverse China’s recent strategic gains.